Alison Chitty began her career shortly after graduating from St Martins School of Art (now Central Saint Martins College of Art & Design) in London in the early 1970s, when she was awarded an Arts council bursary for the Victoria Theatre in Stoke on Trent. Though the bursary was only meant to last nine months she remained at the Victoria for a further eight years, becoming head of design in 1974 and working on some forty productions of classical, contemporary and children’s theatre. Chitty returned to London in 1979 and began working on productions for the Hampstead Theatre, Riverside Studios, the Royal Shakespeare Company and in the West End. She later became resident designer at the Royal National Theatre where she spent eight years, before working in theatre and opera houses all over the world as well as advising on the design of theatre buildings in the UK, Delhi and Johannesburg. The work of Alison Chitty is highly regarded within both the worlds of stage and screen, such as her production design for several Mike Leigh films, including Secrets and Lies, winner of the Palm d’Or at Cannes and Academy Award Nominée for Best Picture. 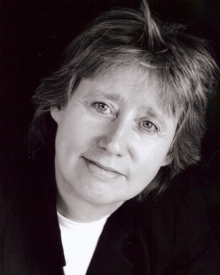 Other honours include an Olivier award for Best Costume Designer for Remembrance of Things Past, two Olivier Awards for Best Production, including Billy Budd, and in 2004 an OBE for her services to drama. Using her wealth of knowledge and experience of design for theatre and film, Chitty transferred such expertise into her work for the Motley School at the Drury Lane Theatre in the heart of London’s West End. Appointed the schools co-director in 1992, and then going on to become Director in 2000, she leads a team of instructors who are all practising professionals, guiding project-based courses. One example is the stage design programme, in which the students study set, lighting and costume design, by participating in sessions with directors, production managers and performers. The ethos of diversity that Chitty has helped implement at the school has brought students from backgrounds as varying as architecture, engineering and archaeology, as well as those from a more traditional route of stage management and costume design. This creates the dynamic that feeds the central objective of the course: to maintain the excitement and freedom of imagination, which was its original inspiration.